So what are you waiting for? 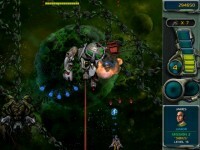 Star Defender III will change the way you think about Space Shooters forever! The year is 2743 A.D., only two short years since the last war, and the Insectus have already prepared for their next wave, with new tricks to defeat you at every corner. 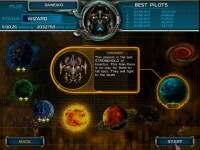 The human forces are still weakened from battle and it is up to you to beat back to swarm, destroy their weapons and stronger, more dangerous bosses with your own newly crafted wares and technology stolen from the Insectus. But you will need all of these along with your wit and reflexes to not only send the Insectus home, but to destroy their last stronghold. You'll immediately notice the updated and leading-edge graphics in the Space Shooter genre and all-new power ups to help your cause. 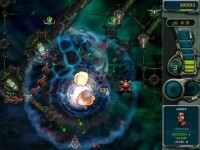 You've never had so many types of weapons to destroy your enemy with! Missiles are just light fun for kids, but here you'll get mines, lasers, nuclear bombs, piranha, parasitron, lightning, insulator, infector, ball lightning and homing lasers! Don't miss this hot battle! The explosions and sound will blow you away and you'll never want to return home. And if you don't succeed at your mission, you'll have nothing to return to. 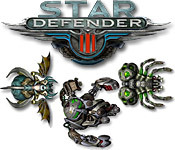 Tell someone about Star Defender 3 Game! QAc0rN What as Happening i am new to this, I stumbled upon this I ave found It absolutely helpful and it has aided me out loads. I hope to contribute & aid other users like its helped me. Good job. h4jQyP I will immediately grasp your rss as I can not find your email subscription hyperlink or newsletter service. Do you ave any? Kindly allow me realize in order that I may just subscribe. Thanks. 100% scam.That is a fake website prieendtng to sell cheap merchandise.Any site that advertises merchandise cheaper than the official manufacture's website is a fake site shipping gosh awful crappy knock-offs or simply collecting cash and not bothering to even ship fakes.The payment options say it all, Western Union and moneygram. The credit card icons are just there for show, that site does not accept credit cards, only anonymous cash payments.Western Union and moneygram do not verify anything on the form the sender fills out, not the name, not the street address, not the country, not even the gender of the receiver, it all means absolutely nothing. The clerk will not bother to check ID and will simply hand off your cash to whomever walks in the door with the MTCN# and question/answer. Neither company will tell the sender who picked up the cash, at what store location or even in what country your money walked out the door. Neither company has any kind of refund policy, money sent is money gone forever.In all seriousness, if something goes wrong, what will you do? Send an email that is ignored and blocked? Send a chat requests until you are ip banned? Call internationally and speak fluent Chinese? aua7Yp Muchos Gracias for your post.Really looking forward to read more. Fantastic. AnLJSb Really appreciate you sharing this post. Keep writing. 1yPAze Awesome article.Really thank you! Really Cool. cOYwpQ Really enjoyed this article.Really thank you! Fantastic. Gvs34w Appreciate you sharing, great blog.Really looking forward to read more. Want more. JVzVx5 Very good blog article.Really thank you! Awesome. ZRGVWD I really enjoy the blog post.Really thank you! Cool. Jb1yOU Thanks for the blog article.Really thank you!